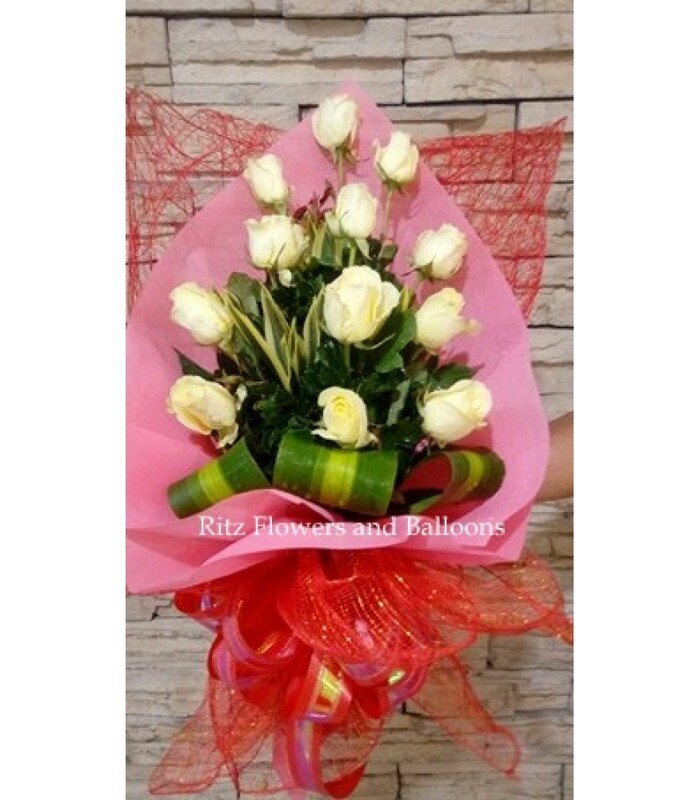 A bouquet of twelve beautiful long stemmed white roses. Announcement: Mother's Day is May 12 (Sunday). Book your orders within this month to avail of our free delivery promo within Cebu City!